Marty, I really appreciate all of your cooperation and the cooperation of your crew. They’re great people doing an amazing job. We have placed all of the first 4 rows with very little problems as of Saturday the 28th of March. These guys really deserve a pat on the back from my standpoint. I know they’ve performed a lot of work elsewhere but, this job is going amazing. You have a great crew and they know their jobs very well. The most standoutish part is that they get along on site great and perform in a very professional manner. Thank you for all your help Marty. 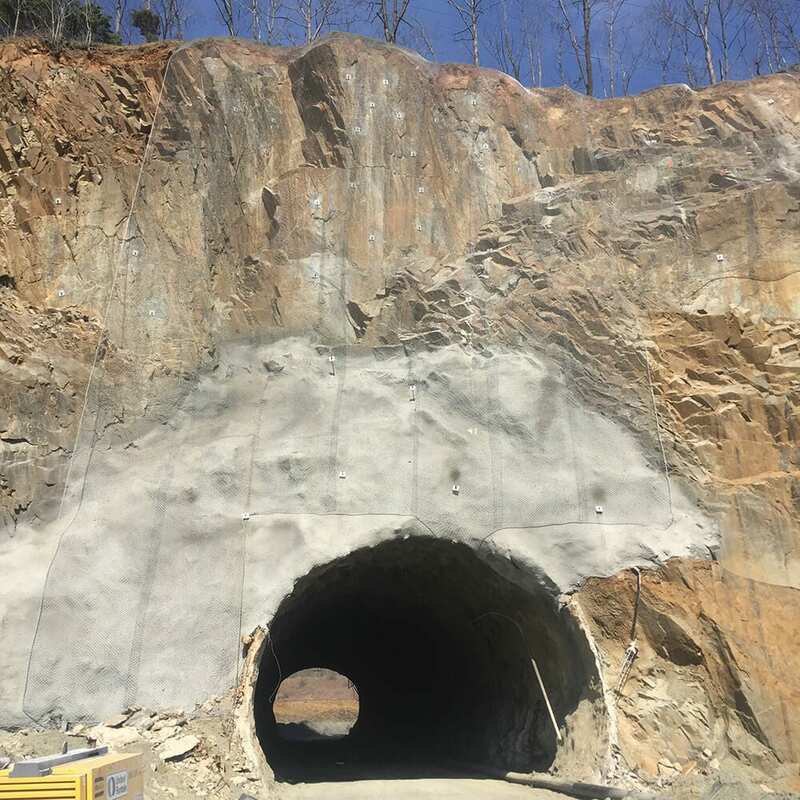 GeoStabilization specializes in Portal and Tunnel breakthroughs, ground support rehabilitation, and protecting critical access points for personnel and infrastructure against instabilities and rockfall hazards.